The Buddha said “Sabbe saṅkhārā aniccā” (“All things are impermanent”)1. Among the many forms of insight meditation recommended by the Buddha, anicca-saññā (the perception of impermanence) is one of the most frequently mentioned in the Pāli Suttas as a practice that leads directly to awakening. So the question becomes: how can we develop a direct experience of impermanence? This is the perceptual lens through which we usually perceive the world. We perceive objects (whether physical or non-physical) as real, solid, and substantial; we perceive them as possessing an ongoing, stable existence. In our meditation practice, we use this ordinary perception as the entryway to the development of mindfulness and concentration. By selecting an apparently solid and stable object and focusing the mind on our experience of it, we can train our mind to be clearly aware of the immediate present-moment experience without distraction or haziness. At this stage of practice, we embrace the perception of stability as a useful aid for training the mind, and we make a strong effort to actively maintain an intense, detailed, ongoing awareness of a specific field of experience. For example, we might begin by choosing to focus on our body. We focus our attention on our hands – keeping the centerpoint of our awareness within the area of our hands. We make an effort to stay completely present with the sensations of our hands and to develop a sharp, clear, detailed awareness of them. If thoughts appear in the mind or distracting sensations appear outside the region of the hands, we pay no attention to them and stay focused on the hands. Viewing the hands as solid, stable objects is useful at this stage for keeping our attention firmly fixed on them. Once the mind is sufficiently focused and alert – with clear, detailed awareness and strong concentration – then we introduce a new lens: the perception of change. We let go of the perception of stability and direct the mind to awareness of the constant changes happening in our experience. When closely observing the object through this lens – the perception of change – we recognize that the object is not stable: it is changing every moment. Our practice then becomes staying with the observation of our object as it changes moment by moment. At this stage of practice, we let go of attachment to stability and allow the mind to focus entirely on that constant change. We use the power of mindfulness and concentration to stay completely present with the momentary variations of an ever-changing object. For example, when focusing on our hands, we will notice that the sensation of our hands is constantly changing; there are variations continually occurring, however slight they may be. At this stage, the experience of our hands shifts from stable to unstable – like a dense cloud, constantly shifting and morphing. As the mind becomes increasingly accustomed to the perception of change, what becomes evident is that there is no continuity between adjacent moments. We realize that each moment is completely stand-alone and individual; every moment of experience is separate from both the moment before it and the moment after it. Our experience shifts from that of a persistent, ever-changing object to that of a sequence of momentarily existent objects. In each moment, a sensation comes into being, and in each moment, a sensation ceases to exist: this perception of arising and ceasing can be called simply the perception of transience. At this stage of practice, we let go of attachment to persistence and allow the mind to experience each moment as an individual moment with its own momentary lifespan: perceiving it arising and ceasing. 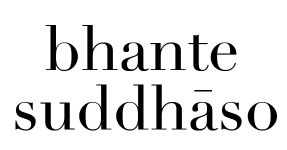 This is indicated by the refrain found in the Mahāsatipaṭṭhāna Sutta (MN10): samudayadhammānupassī vā kāyasmiṃ viharati, vayadhammānupassī vā kāyasmiṃ viharati (“One observes the nature of arising in relation to the body, or one observes the nature of ceasing in relation to the body”). So at this stage, our focus is on the arising and ceasing of each momentary sensation in the succession of momentary sensations. For example, when focusing on our hands, we now perceive the body as neither a stable object nor a morphing object, but rather as a field of tiny points of momentary sensation – like a constellation of stars that are constantly blinking in an out of existence. The more we focus the mind on the arising and ceasing of each moment of experience, the clearer it becomes that arising and ceasing are simultaneous. When we attended closely to the perception of change, we realized that our observation is not of persistent objects; it is of momentarily existent sensations. Since each moment is stand-alone, there can be no two adjacent moments – one of arising and one of ceasing – because that would necessitate an ongoing, persistent object. Therefore, both the arising and ceasing of any sensation must be occurring in exactly the same moment. This means that it is simultaneously existent and non-existent. The perception of simultaneous existence and non-existence can be called the perception of insubstantiality. At this stage of practice, we are aware of the mirage-like quality of each sensation – its simultaneous arising and ceasing, its simultaneous being and non-being. This is indicated in the Mahāsatipaṭṭhāna Sutta by the statement samudayavayadhammānupassī vā kāyasmiṃ viharati (“One observes arising-ceasing in relation to the body”). Here, we let go of attachment to the apparent reality of momentary sensations. For example, as we focus on the momentary sensations in the region of our hands and observe their simultaneous arising and ceasing, we recognize that each sensation has an ephemeral, ghostly quality to it: there’s clearly something, but it’s not quite real. It seems to be both real and non-real at the same time – both existent and non-existent. Awareness of the insubstantiality of an object leads to awareness that all aspects of that object are also insubstantial – including its edges, boundaries, and any other identifying characteristics that seem to make it a distinct object. At this stage of practice, we recognize that the object itself has no necessary form: it is completely formless. Any form is something that we add – an extra mental step of creating the perception of a separate object or a distinct form. When we recognize that extra step, we can allow it to come to a halt, and the inherent formlessness of the object becomes apparent. When we recognize that the observed object is formless, the perception of that object vanishes – and we then recognize that all objects are inherently formless and that therefore there is no separation or distinction between them. At this stage of practice, we allow the perception of separate objects and distinct forms to stop and the perception of pervasive formlessness to fully manifest. We let go of attachment to any separate object, separate form, separate being, or separate mind – and we recognize the underlying unity of being and non-being that transcends all separation and distinction. For example, as we perceive the insubstantiality of the body in the region of our hands, we see that there is no distinct edge between our hands and the rest of the body, the surrounding air, the rest of the physical world, and the entire mental world (including awareness itself). Beginning with the region of our hands, we perceive a region of formlessness – a portion of our awareness within which no distinct objects are apparent. The more we focus on this formlessness and the more we let go of the perception of objects, the more pervasive and all-encompassing the formlessness becomes. Yet there continues to be form. Here, we encounter one more duality – form and formlessness. At this point we may fall into the error of believing that these are opposites of each other. However, as we look more closely, we discover that every object is a perfect representative of formlessness, and that in formlessness there is the infinite potentiality that can manifest as any form. Within all form, there is perfect formlessness; within formlessness, there is every form – therefore, form and formlessness are inseparable. We cannot say that one is more real than the other, because they are like two sides of one coin – equally valid ways of viewing the same reality. So once again, we let go of another layer of attachment: we let go attachment to formlessness. For example, in our practice of observing the body, now we see both the momentary sensations of the body and the formlessness of that same body, allowing both the perception of form and the perception of formlessness to seamlessly co-exist. We expand this perception to encompass all things, both physical and mental, so that nothing whatsoever is left out. So why do we do this? Why do we develop this increasingly refined sequence of perceptions? We do this because attachment is the source of delusion and discontent: attachment to stability, attachment to persistent objects, attachment to momentary objects, and even attachment to formlessness. No matter how refined or subtle the object of attachment is, that attachment is still a manifestation of the foundational delusion of self-existence: the belief “I exist,” or “This is me,” or “That is mine.” And as long as we allow that delusion to persist, we will continue to experience a limited and uncomfortable state of being. However, as we develop the perception that any potential object of attachment is inherently ephemeral, transient, insubstantial, and formless, we recognize that there is nothing we can possibly hold on to. With this recognition, we let go of attachment naturally and automatically – as well as all the discomfort that accompanies it. And the most subtle form of attachment of all is the attachment to self-existence – but with the recognition of form and formlessness comes the recognition that nothing whatsoever can be held to be “me” or “mine.” With this realization, the last vestiges of delusion and discontent evaporate, leaving boundless peace and complete understanding in its place. 1 Dhammapada 277. Similar statements are found throughout the Pāli Canon.